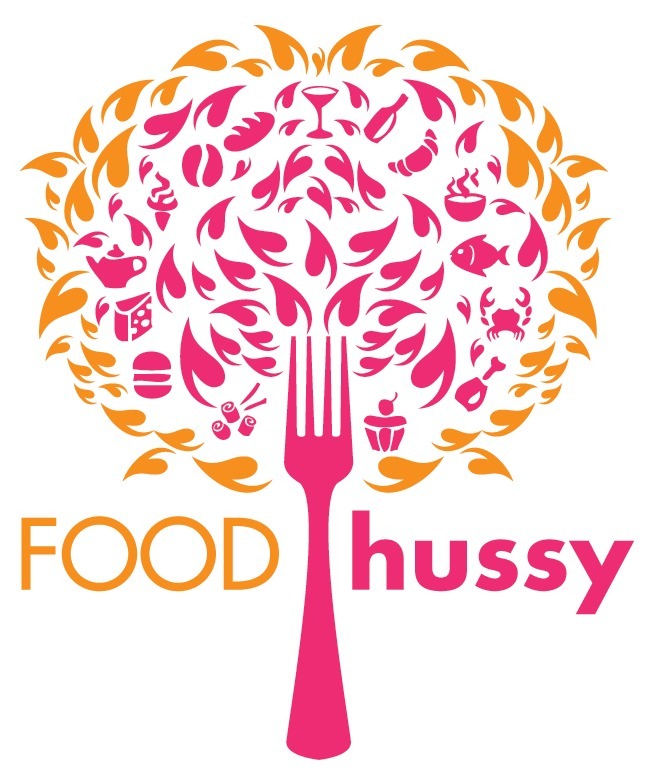 Food Hussy Recipe + Giveaway: Honey Dijon Pork Satay | The Food Hussy! This post is sponsored by Ohio Pork - all opinions are my own. 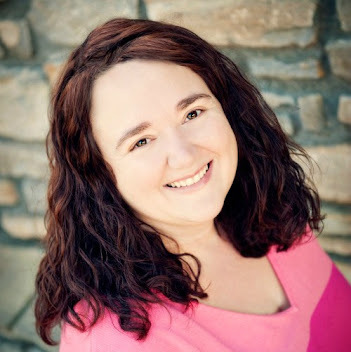 Recently I visited Uncle Squeal on his pig farm and was prepared a feast of every kind of pork you can imagine! 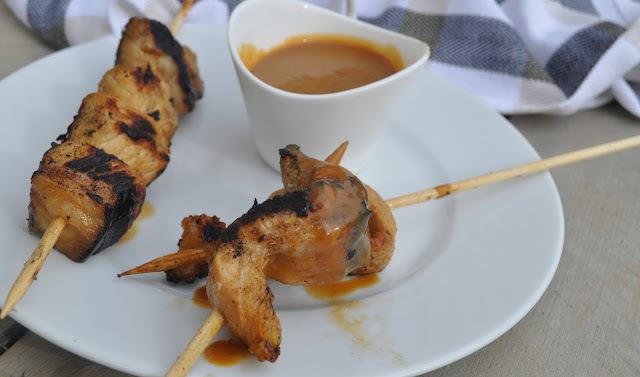 One of those dishes was a Honey Dijon Pork Satay and turns out that is one of his favorite recipes - so I had to try and make it for myself. 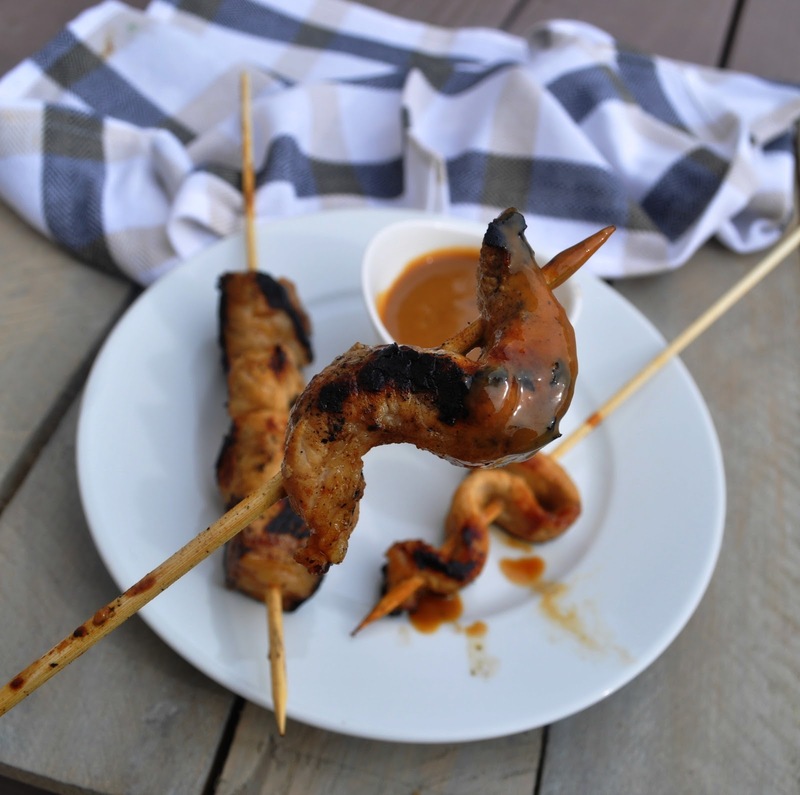 Squeals had also showed me different ways to break down a pork loin into roast, butterfly chops and strips for the satay. At this point I felt well-prepared to make this for myself. 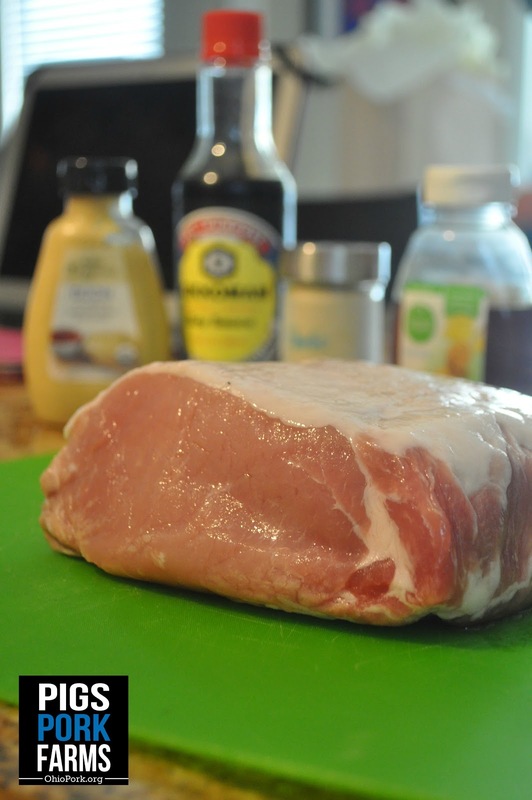 The recipe on the Ohio Pork site makes a HUGE amount - so I had to drop it down to a 2-person serving but the ingredients were simple: pork loin, dijon mustard, honey, soy sauce and garlic. I tried doing the strips but apparently my knives need to be sharpened so I abandoned that and went to just chopped 4 boneless chops into bite-sized chunks. Then I prepped the marinade/sauce - and it was pretty easy to bring this down to a normal serving level. 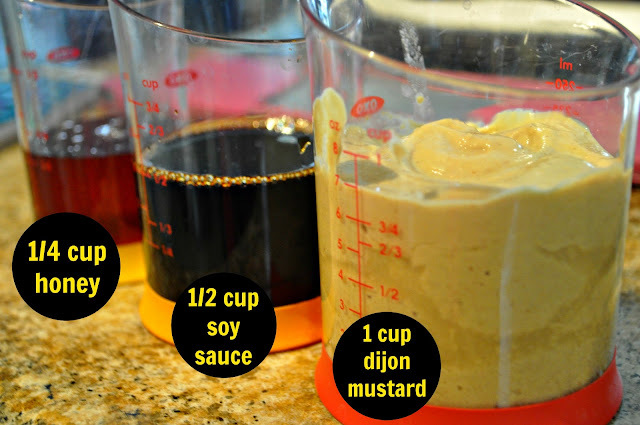 It's a 1-2-3 ratio - doubling each ingredient - so I used 1/4 cup honey, 1/2 cup soy sauce and 1 cup dijon mustard. You can easily scale this up if you have a larger group. 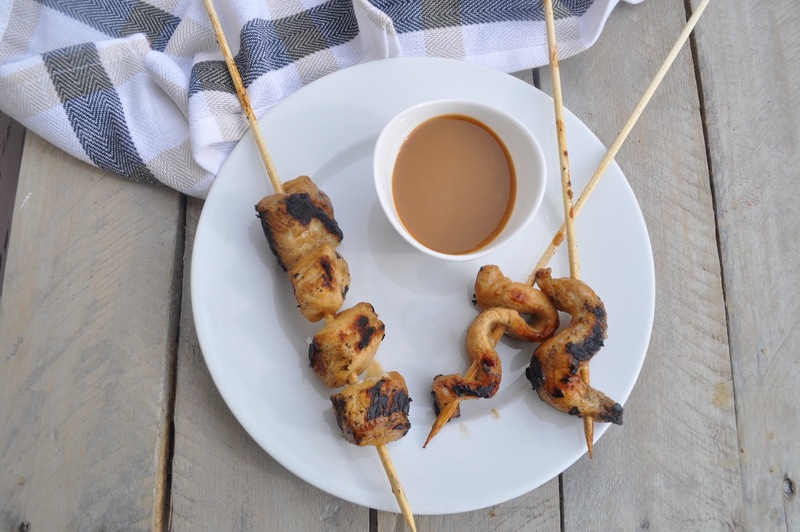 After they're all in the bowl you just whisk together and your marinade/dipping sauce is ready to go! 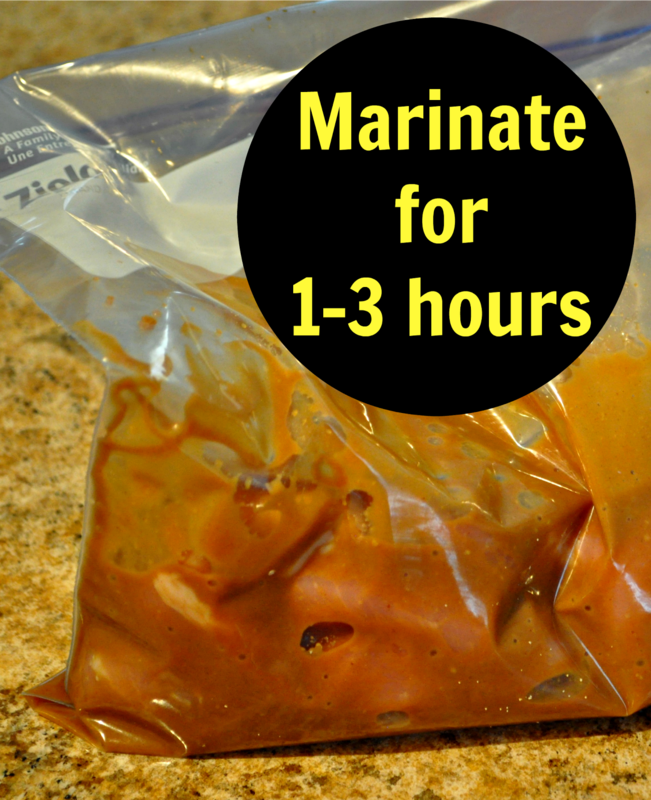 I put the pork chunks into a ziploc bag and then poured in about 2/3 of the marinade. Seal it up and refrigerate for 1-3 hours. 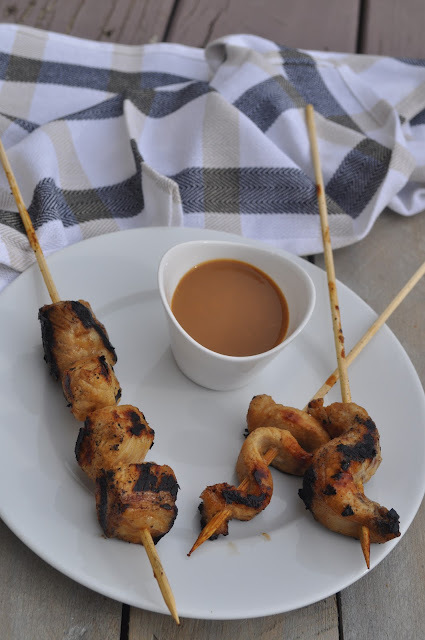 Once marinated - I pulled the pieces out and skewered them. You can grill them but I was in a hurry so I just grabbed my grill pan. I heated it up and sprayed it with nonstick spray and then grilled the skewers. I've gotten pretty good at cooking meat and just used my tongs to push on the pork and tell when it was done. 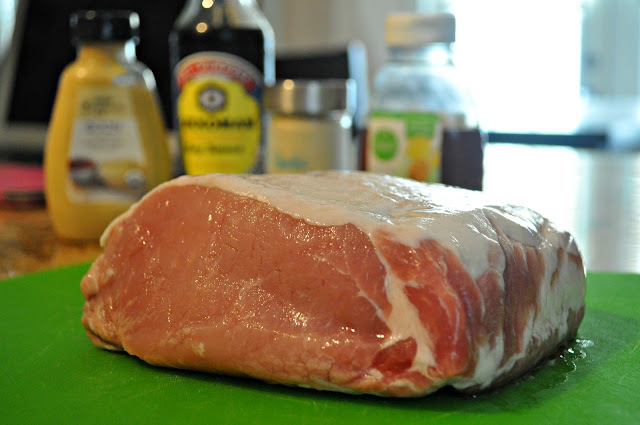 And remember - pork is PERFECT at 145 degrees - don't let it dry out! And there you have it - delicious Honey Dijon Pork Satay. 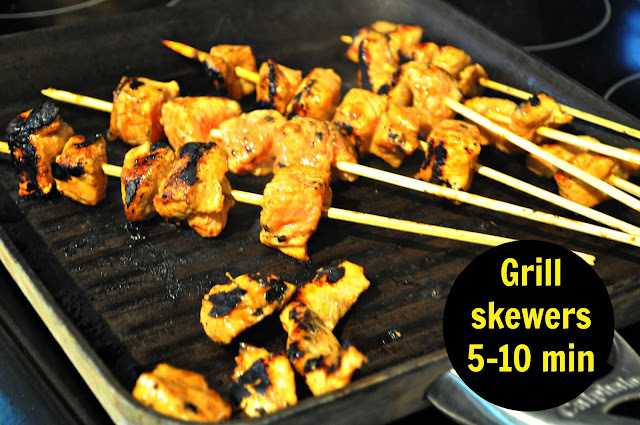 As you see I did try some skewers but the chunks were so much easier. It all eats the same and both were delicious. Be sure to NOT overcook your pork! It's so much juicier when it's cooked correctly! And now you can make this for yourself! 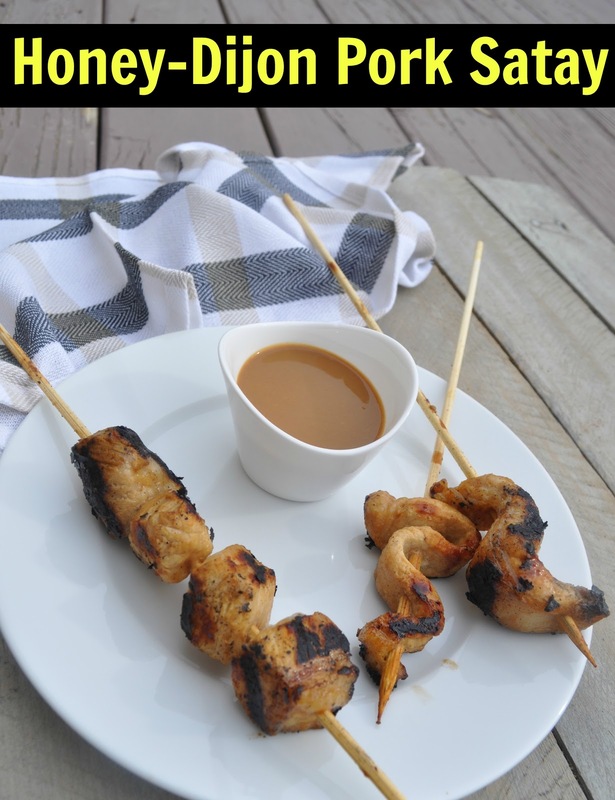 It's super easy and a quick recipe for sure. 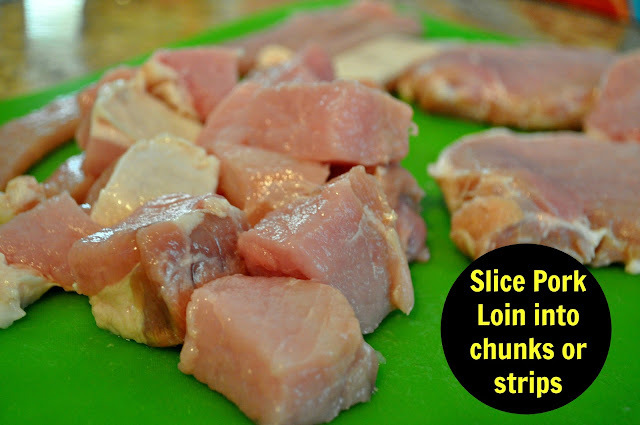 Before I give you the delicious recipe - I would love for you to take this quick survey from Ohio Pork. 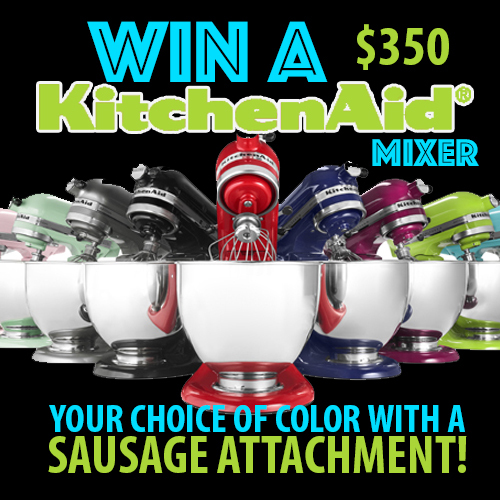 We'll be drawing a winner on January 31 for a KitchenAid Mixer with a sausage attachment and the winner even gets to pick the color they want! 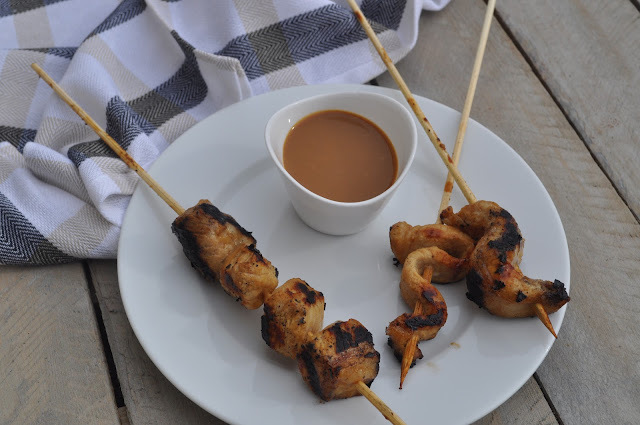 So here you have it - Uncle Squeal very favorite recipe for Honey Dijon Pork Satay!